When it comes to user onboarding, Jonathan Kim, Founder and CEO of Appcues, is your guy. He joined us on stage at SaasFest 2017 to talk about the one thing every business wants the answer to: how to keep customers for life and cut your churn rate. Instead of looking at generic ways to keep users coming back — you know, like modify your product or tweak your email marketing campaigns — he takes a new approach and instead breaks down each stage of the retention curve. 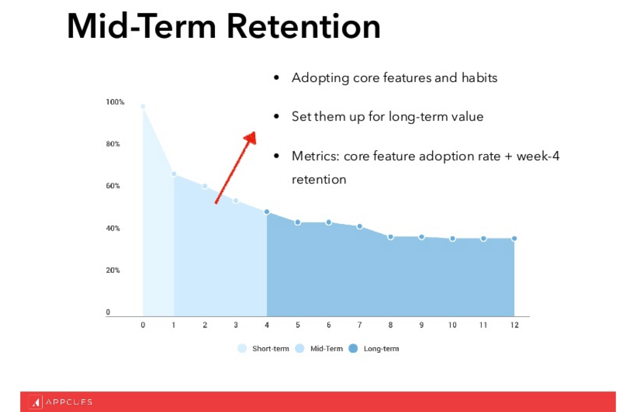 In his talk he breaks down the retention curve into three parts and gives some pretty solid advice on what to focus on in each phase to keep users coming back. But that's not all. You're probably well aware of the importance of being more proactive with users. Jonathan takes this idea one step further and suggests that instead of being proactive, companies need to become more preventive. Trust me when I say that you don't want to miss this one. No matter where your users are in their customer journey, you'll find some tactical takeaways to hit the ground running. 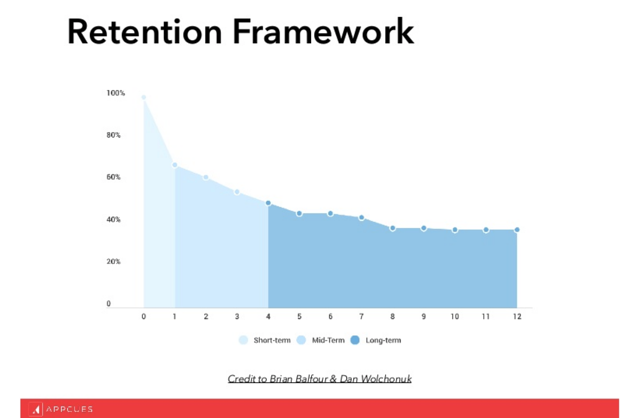 In case you can't watch his talk right now, here's a summary of how to use the retention curve to cater to user needs. Plus, I've added the three main takeaways I want you to think about as you put together a retention strategy. One of the observations Jonathan makes is in regards to the evolution of retention. He says, “when people think of fighting churn, they think of switching from a reactive strategy to a proactive strategy.” It used to be that companies reacted to users as needed but, as SaaS companies have gotten better at offering self-service options, there's a need for a more preventive approach to increasing churn rates. Reactive: In the beginning when users responded to bad service with complaints, the response was for companies to reach out and try to fix the problem. This might include talking to a customer service rep or a follow-up email offering help. Proactive: This signaled a move in the right direction where companies used customer behaviors to predict when they were about to churn. When companies see a drop in user numbers they might send out re-engagement emails to users who haven't opened the app in a while. Preventive: This new approach goes one step further and gets rid of friction customers might experience early on. The goal here is to make customers as successful as possible early on to avoid high churn rates. It turns out the number one way to get them to stay is to get them successful early. It's natural to want to jump in and help a customer at the first signs of unhappiness. A better approach is to create an environment where customers are happy, comfortable and have access to what they need. Short-term goals should focus on making a strong first impression during user onboarding so that users have a reason to want to come back. The focus on mid-term goals should be to encourage users to adopt some of your core features and habits. This ensures that they stick around longer. Finally, long-term goals should focus on offering users continuous value so that using your product becomes a habit for them. The more value users see over time, the lower the churn rate will be. 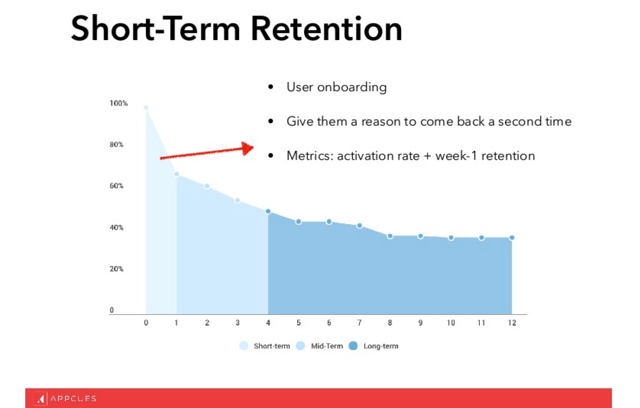 Here's how these goals worked to move Yotpo from a company with a long and complicated onboarding process that had users churning just as quickly as they signed up to having higher user retention and year-over-year growth. The same thing applies to SaaS products. 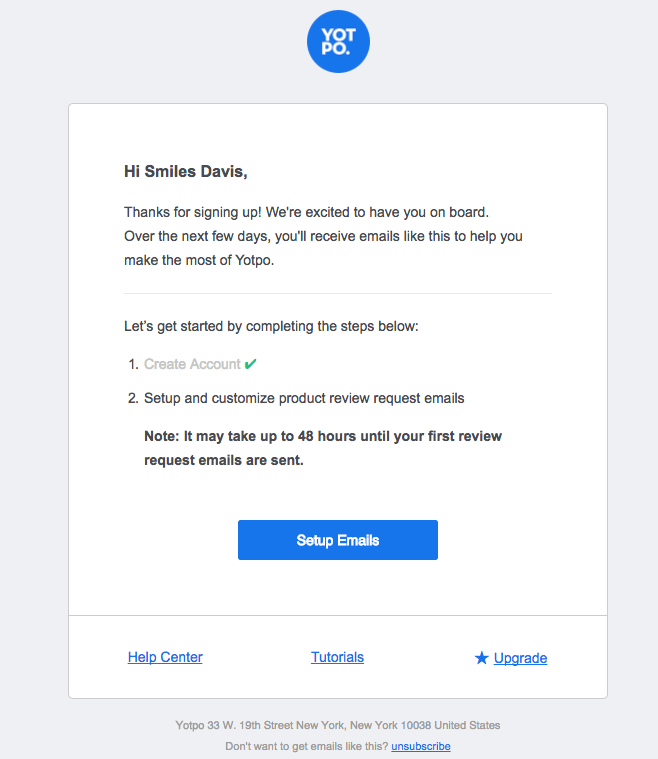 Instead of getting new users to sign up and go through a standard onboarding process, Yotpo changed the flow to focus on getting users to personalize the platform and set it up to receive the first review. 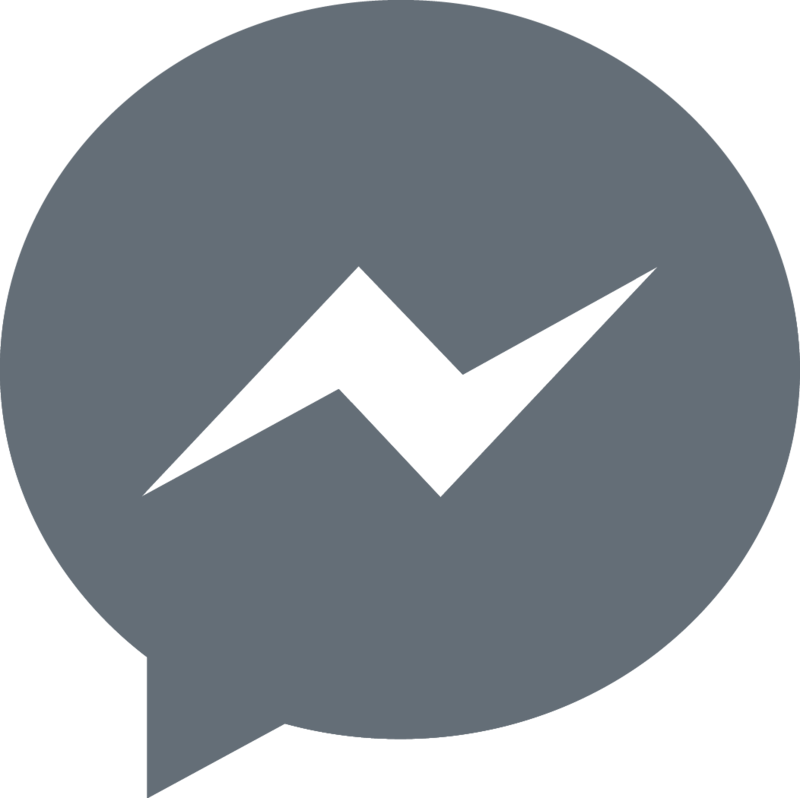 This way new users get familiar with the product and its core features from day one. This hands-on approach allowed for an emotional attachment between users and the app to develop. 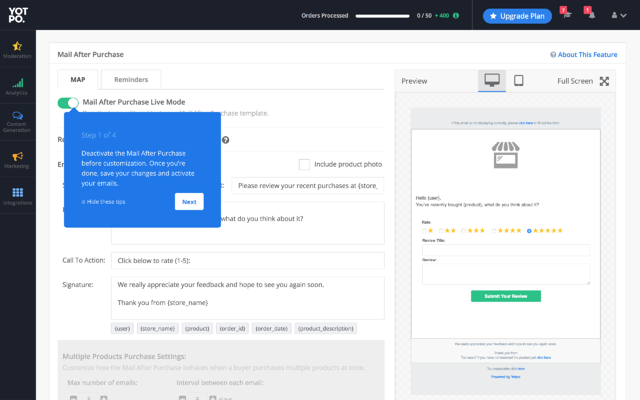 [Source] During onboarding users can decide if they want to send a request for a review after their customers make a purchase. It’s very, very, very quick for anyone who interacts with Slack to consider Slack, the entity, their friend. That’s super weird. That never happens for any business software. Key takeaway: Know what your activation moment is so that users experience value early and have a reason to want to come back. Whether it's getting users to upload their first piece of content, share something with their connections or set up a workflow, include it in your onboarding process if it shows a higher conversion rate than other actions. After the momentum you create from the first step when people get hooked, Jonathan suggests that you use that momentum to "drive harder actions." Create an account and install a widget within a month of signing up so that they can start to see customer reviews. Choose one more feature to set up. For example, customize the emails customers get. Let's say you have a networking app that connects users to new business partners. The core workflow in this example would be for users to set up their profile and add their interests. 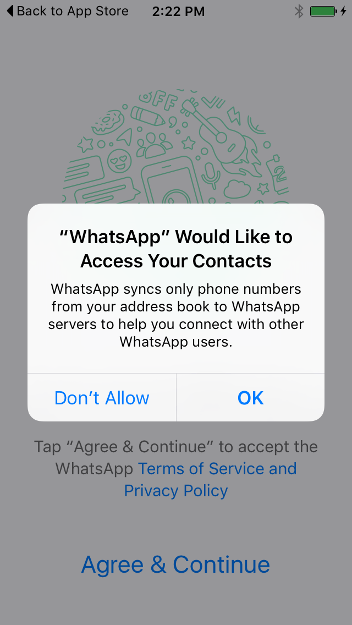 The additional feature they can set up might be to sync their new account with existing contacts in their phone. So now users have a new profile and a list of friends also using the app that they can connect with. [Source] Messaging apps like WhatsApp make it easier for users to use the app and get value from it. Adding this extra step makes adoption more likely because users are set up to use the app properly and are successful early on. Key takeaway: Set up more than one additional strategy. For example, all customers have to go through initial onboarding but the next step will be different for different groups depending on how they want to use the product. Give users options. Jonathan suggests getting users to invite new friends, turn on an integration or adjust account settings. The point is to find the one thing that's most important to users and add it as the next step after onboarding. The next step in Jonathan's framework is to "repeatedly surface value to users.” He explains that the first two steps “set users up for success and give them a chance to build a habit." He continues, "now the focus should be to show users value based on the effort and investment they've put in." Sometimes simple fixes are the most powerful. For Yotpo, this meant sending users an email as soon as they get their first customer review. This simple action tied together all of the effort users had put in up to that point and showed them the results of their effort. Jonathan explains that “this approach made for a friction free experience for users.” Users didn't have to go in search of the information, it was given to them. Preventive measures like follow-up emails have a compounding effect because users get the value they're looking for when they first join Yotpo. Then they're encouraged to invest more in the app and keep coming back to use the platform to see more value. Since we made all those changes our active user base is in a pace of 92% YoY growth. We were flat during the last year. Key takeaway: Set up opportunities for users to experience continuous value. It's like a cycle where you show users proof of the value they came for and use this to make them want to get to the next level. For example, send out weekly emails that show their progress or how they compare to other users. 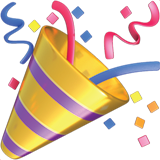 Make the messages fun and lighthearted and show users how easy it is to get to the next level. This is how to get them to keep coming back and using your product. The secret to reducing your churn rate and getting users to stick with you for life is to be more preventive so that the in-app experience is the same as the in-person experience. For example, user onboarding is one of the best ways to wow and retain users. Make the process simple and easy to follow so users can make the product their own early on. Get to know your user base and offer different options to flow through processes that match their unique needs. Make it clear what options are available to maximize adoption. If you offer lots of features ask users how they want to use the product, and then lead them down a flow that caters to that.